This is the thirty-sixth pattern in the Knitted Kitchen Blog Hop: Learn A New Stitch Dishcloth Series 2017. You can find all the information you’ll need to follow along, as well as regularly updated links to each of the 48 knitting patterns with photo or video tutorials, here. This week’s dishcloth features the puff lace, a gentle ripple stitch. I had so much fun with last month’s Easy Ripple Washcloth that I decided to make another ripple stitch washcloth this month. If you make your own Puff Lace Washcloth, I’d love to see it! Share your progress and questions by tagging me on Facebook as @Underground Crafter, Instragram as @ucrafter, or Twitter as @ucrafter. Sign up for my weekly newsletter and get a coupon code for your choice of one of my premium patterns and other subscriber goodies. Plus, you’ll never miss one of my free patterns again! Add the Puff Lace Washcloth to your Ravelry favorites or queue. 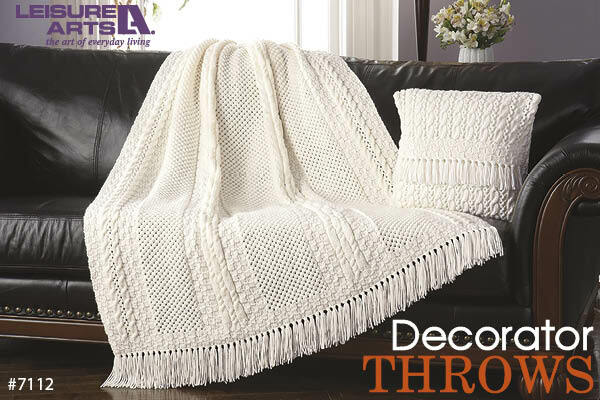 A gentle ripple pattern combines with eyelets and “puffs” of reverse garter stitch to create an interesting texture. 9″ (23 cm) wide x 10″ (25.5 cm) long. Lion Brand 24/7 Cotton (100% mercerized cotton, 3.5 oz/100 g/186 yd/170 m) – 1 skein in 133 Tangerine, or approximately 60 yd (55 m) in any medium weight, cotton yarn. 18 sts = 4″ (10 cm) in stockinette st. Exact gauge is not critical for this project. A video tutorial for this pattern is coming soon. CO 51 sts (or any multiple of 10 sts, + 1). Row 1: (RS) K2tog, *k3, yo, k1, yo, k3,** sl 1, k2tog, psso; rep from * across to last 9 sts, rep from * to **, k2tog. Rows 13-14: Rep Rows 11-12 once. Rep Rows 1-14 until dishcloth measures approximately 10″ (25.5 cm) long or desired length, ending after Row 10. BO in pattern for Row 2. Fasten off. © 2017 by Marie Segares (Underground Crafter). This pattern is for personal use only. You may use the pattern to make unlimited items for yourself, for charity, or to give as gifts. You may sell items you personally make by hand from this pattern. Do not violate Marie’s copyright by distributing this pattern or the photos in any form, including but not limited to scanning, photocopying, emailing, or posting on a website or internet discussion group. If you want to share the pattern, point your friends to this link: http://undergroundcrafter.com/blog/2017/09/07/knitting-pattern-puff-lace-washcloth-with-video. Thanks for supporting indie designers!